Bringing Her Superpowers to Introverts: Meet Jennifer Kahnweiler, Ph.D. I hope you’ve been reading/listening to/watching the interviews I’ve had the good fortune to do with people who are bringing their superpowers to work! My goal is that you find at least one snippet of inspiration to help you bring your superpowers forward into the world. There’s been a lot of talk lately on the power of an introverted personality–but what is that, exactly, and how can understanding our personality traits help us at work? 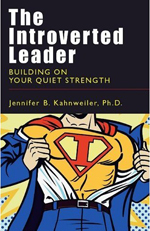 My friend and colleague Jennifer B. Kahnweiler, Ph.D. shares more about this and other ideas in her book, The Introverted Leader: Building on Your Quiet Strength. Hope you enjoy our lively conversation! Darcy: Hi, it’s Darcy Eikenberg here, the author of Bring Your Superpowers To Work: Your Guide To More Clarity, Confidence & Control. This is the next in a series of interviews that I’ve been doing with people who I think are bringing their own superpowers to work, and making a difference in their corner of the world. Today, I have the pleasure of being here in person with Dr. Jennifer Kahnweiler, who is the author of The Introverted Leader. She’s also working on a new book, so we’ll get a chance to hear more about that. Jen is a speaker, a writer, an executive coach, and a person who I really admire and think has really done a lot of work to focus in on her own superpowers and helping others what is unique and special about them, too. So, Jennifer, thanks for being here! Jennifer: Darcy, it’s my pleasure! I love that you’re doing these interviews. I’m learning a lot from them, and I always learn a lot from you. So it’s a mutual admiration society! D: Thank you! Absolutely. We all need friends! Sometimes one of your superpowers is who your friends are. I do say to pay attention to who is around you, and your resources and connections. It can be very important! Jennifer, when I first met her–her book was just about to come out. She shared with me a little postcard that had the picture of a Superman-type person opening his shirt… How do I describe this on audio? J: Yes, you’re right – Superman. D: Yes, showing that powerful strength. As we got to know each other, I started learning about the work that she’s doing with corporations all over the world to help people understand what introversion really is today, and how people can be using that as an asset, as opposed to thinking of the old stereotypes that it’s negative or that they have to change it. So we’ll talk with her today a little bit about that. So, Jennifer – tell us just to get started – how did you get into this topic to begin with? So life went on, and I ended up marrying an introvert, I learned later. I started working in the corporate world and in many different organizations where I found that the introverts, the quieter folks, weren’t often times getting their information out there. People were sort of ignoring them. They were even getting past over for promotions. That was one of the things that drew me over the years to this topic. As I started to get more into leadership development and in my coaching and speaking, I found that a lot of the introverts – the people that had more energy from within, as I’m defining it, where they didn’t want to react to a lot of stimulation but they really processed their ideas internally – I found that they had so much to contribute. They were very appreciative of tools and tips to help them navigate the challenging people scenarios that they faced. D: One of the things I talk about in Bring Your Superpowers To Work is the idea of gaining clarity, and the power that clarity can give you. I’m curious – when you’re working with people, do you find that they immediately identify themselves an introvert? Or have people been putting on another persona, because of some of the trends in the workplace? J: Yes – it’s very interesting, particularly when I give speeches and I have a large group there. Many times, you’ll see people and the lightbulb will sort of go off. It’s not always just about themselves–I’d say at least half the time, because we say 50% of the population is really introverted, yhey will come up to me, or they’ll share within the program that their spouse or their son, or someone in their family, or even their boss is an introvert and they hadn’t been aware of that. Introverts usually know that they are, but sometimes they don’t. D: What are those characteristics that tend to make someone an introvert, as opposed to an extrovert? J: As I mentioned, a lot of it has to do with that internal energy. What springs from that are a couple of things. One is a very calm demeanor. Introverts tend to not get very ruffled. Another thing is that there is quite a bit of depth, versus breadth. In other words, that’s with projects and with people that they meet. 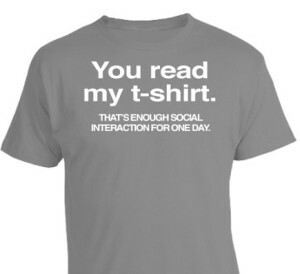 You’ll see them engaged in conversation, but not flitting around the room, for instance, or, checking Facebook every two minutes, like some of the extroverts might. 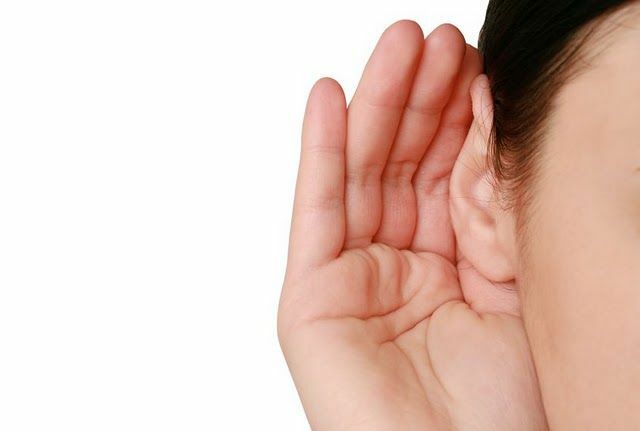 There’s also a tremendous propensity for listening, to truly listen. Introverts will be with you when they’re with you. Often times, if they’re in the moment, they’re in the moment. So listening is a real strength. Those are some of the key characteristics observed, related to that as well. They tend to not be the loudest in the room, but have a very uncanny ability to zero in on what’s happening around them. Observation is another trait that you’ll see with introverts quite a bit. D: It’s interesting, before I got to know you and read your book, I think I was similar to many people. I probably have a major in extroversion, although I have my own introversion! J: I haven’t heard that before! I like that, can I steal that? D: Sure! Absolutely! I lead with that [extroversion] but I do have an element of introversion for myself. But I think that before I had some of my awareness heightened by the work that you’ve done, I would look at somebody I was working with who I now know has a more introverted style and would be more judgmental, [thinking] “why don’t they just speak up?” I’m curious – for those who are majoring in extroversion like me, what are some tips that people should be aware of in the workplace to be able to accommodate and bring everyone’s superpowers to work? J: I’m so glad that you are suggesting that was your own experience, Darcy. There are a couple of things that once we realize that people who are in our midst are introverts. There are a couple of things that we can do. The first, I think that you referred to, is to stop judging. People don’t need to be carbon copies of ourselves. If we have that expectation that someone is going to be talking as much or initiating conversation, we are going to be disappointed and in our own mind, and discount them. That’s one thing that we all need to be aware of. That’s true for introverts, too. It’s not just extroverts who feel like that. Another thing that you as an extroverted boss or team member could do, is to remember to, as my kids used to say, chill. Even pausing now – I think pausing for talkers is very challenging. They don’t like silence. Introverts thrive in solitude. They like silence. Giving an introvert a few seconds of silence–count 1, 2, 3 in your head- will often times results in them speaking up. Or not. That could be on the phone when you can’t read those visual cues as well. Pausing, allowing that person to be who they are, those are just some tips I think that I would offer up. D: I love the idea of using silence. That actually had been one learned tool for me, that in my individual coaching work and even just in other meetings have been so powerful. As a fast-talking, fast-thinking person, you want to fill in the gaps and push things forward. But I actually had a client who I worked with in my old corporate days who was like that. A gentleman who worked on her team taught me to wait – present your topic, and just wait. She will cue you when she’s ready to move on. It was such a powerful lesson. J: Was it hard for you? D: Very hard, at first! But so important along my leadership journey, and in discovering how to work better with others, creating the clarity about how I knew what was different and unique about me, and the confidence that I can have the skills to be able to work with a variety of different types of people. J: Exactly. We live in such an extroverted, centric world that the people that are the talkers – whether it be in brainstorming sessions or in coaching itself, you know that we do a real disservice to people when we fill in the sentences. I think that equation we’ve all heard as coaches, is that you should have the 80:20 rule. The coaches speaking 20%. That should mirror a lot of conversations you’re having, when you’re trying to get the best out of the introverts in your organization, allow them the dignity of their own rhythm. To speak at their own pace – sometimes they speak slower. And to not try to fill it in and rush it along. I think it was Thoreau who said, “Nature abhors a vacuum.” To your point about, when you allow silence, something comes in to fill it. Sound like you? Get yours at Jennifer’s site, AboutYouInc.com. D: Right. Why do you think right now we are still in a extroverted dominated culture? What’s created that? J: Certainly, technology has really done that. I think there is so many interruptions now, if you think about how your day looks compared to what it was even 10 years ago, where you had a little bit of time to respond to an email, and now you’re getting chats and texts and notices from Twitter! It’s a constant battle to try to manage the technology. I think that’s one of the real things that’s happened. And, I think culturally – if you look at everything out there now, everything from reality shows, to the idea in organizations, too, andon TV, too, in shows like The Apprentice where we’re working on a team and everything’s about team identity–we’ve kind of lost sight of the need to just be quiet. I wanted to share with you an interesting experience I had. You and I travel quite a bit, and I found myself on an Amtrak train several weeks ago going from Baltimore to New York’s Penn Station. Getting on the train with my bags, I looked up and I notice that something feels a little bit different. What felt different was that I wasn’t hearing anyone on cellphones and I wasn’t hearing any chatter, yet the car was full. I looked up and saw a sign in front of me, and it said, “The Quiet Car.” And here, I had stumbled on The Quiet Car for my three-hour journey! It was actually refreshing in a way to be unplugged. Who knows, there might have been other extroverts like me on the car who appreciated that time. But how often do we get chances to have that quiet car space? D: It’s a great point. One of the things I’ve written about is “click less to connect more.” There is this intrusion of so much information at our fingertips. And even the intrusion of us just knowing it’s possible, even when you try not to click – it’s like, “Well, I don’t want to miss anything!” It becomes a habit, but creating the spaces where you can get quiet does lead to continued clarity for yourself to find what is unique and special about you? What are the things that you want to take control of at work? Or even in your broader life? J: In one of the things, I have a four step process that I work on with people when coaching them. It’s called the Four P’s. It’s Prepare, Presence, Push, and Practice. The Presence piece of that really speaks to what we’re saying now. It’s based on the research I did with successful introverted leaders. One of the things they do is stay in the moment. They’re not worried about yesterday. They’re not thinking about the future. But they’re with that person or that challenging task that they’re with in the moment. You won’t see them getting very distracted. So that, to me, was a real lesson about the importance of being present. D: Great. I know you’re working on a new book, so tell us a little bit about that! J: Well, sneak peak – I have my introvert hat on now, doing lots of writing. And to speak about my superpowers, one of the things that I’ve ended up doing is that I leave my writing space and go to Starbucks for a while. I can choose to either engage or not, in those extroverted situations. The new book is going to be Quiet Influence. It’s going to be a book that builds on what my learnings and research has been, and what my readers have been telling me from The Introverted Leader, about seven characteristics that introverts bring to the table at all levels of organizations in many different industries and organizations across the world, and how they make a difference, how they affect change, and how they provoke thinking. All the characteristics that go with, what I call influence. My belief and contention is that introverts have the right stuff that many of us can learn from to influence. D: That’s great. It sounds like another great way to dive into specifics and ideas within different industries around how if you’re an introvert, how you can be bringing that part of your superpowers to work and really make – not only the difference for your career and for your work – but the broader contributions you can make to your company, your community, and your world. J: Absolutely. And the other piece of that, is that for all the extroverts out there, I think we have a lot to learn from the introverts among us. That can be a part of our superpower kit, to really tap into the parts of ourselves that we don’t necessarily pay much attention to – the times of solitude and the times of pausing, and all the things that make the introverts so effective. D: To your point, the time that a lot of our environment is pushing out, we have to be more conscious of creating that space for the reflection and personal insights, and some of the things that come more naturally to the introverts. J: Exactly. And I think that’s why things like yoga and these types of practices of meditations have all increased, in terms of numbers. We’re craving that as a society. D: Jennifer, where can people find out more about you? J: Well, I’d love to hear from folks. I’m on Twitter. My website is AboutYouInc.com. [ED NOTE: updated April 2013 to JenniferKahnweiler.com.] My blog is there too. I so thrilled, Darcy, that you agreed to be on my newsletter this month, which I can certainly send out to folks if they’re interested. There’s a great interview that we did, in the spirit of collaboration. That’s available if you just go to my site and sign up for my newsletter. I’d love to share that, and there’s lots of free articles and complimentary resources on this whole exciting, growing, and expanding topic. D: Yes, there are a ton of terrific tools at Jennifer’s website. The interview we did is also on our media page at RedCapeRevolution.com. I really encourage you to pick up the book, The Introverted Leader: Building on Your Quiet Strength. It’s a book that’s been out for a while and continues to be hot–people still keep picking it up and sharing it. So if this is something that speaks to you, it’s a great way to dive more into this element of your potential superpowers, so you can be bringing them to work! Again, I’m happy to be here today with Dr. Jennifer Kahnweiler – author of The Introverted Leader. 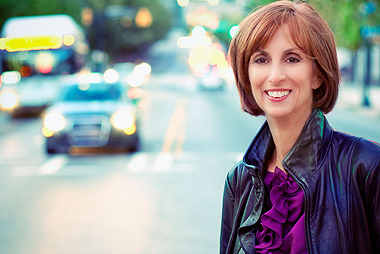 This is Darcy Eikenberg, the author of Bring Your Superpowers To Work. Thank you all for being here today! J: Thank you, Ms. Superpower! Are you an introvert bringing your superpowers to work? Tell us about it by replying below, or sharing on Facebook or Twitter. Thanks for being here!